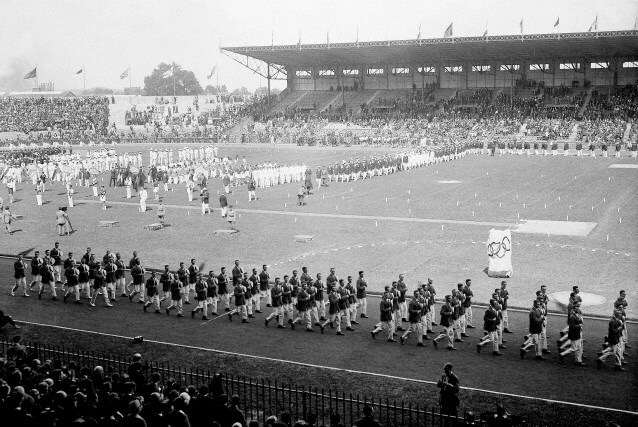 Will Paris brave another attempt at bringing the Olympic Games to the City of Light for the 100th anniversary of their last Olympiad in 1924? The previous three attempts (1992, 2008 and 2012) ended in defeat and the last one must have stung the most, losing out to ancient rivals London, despite an inferior infrastructure to Paris’ at the time of application. 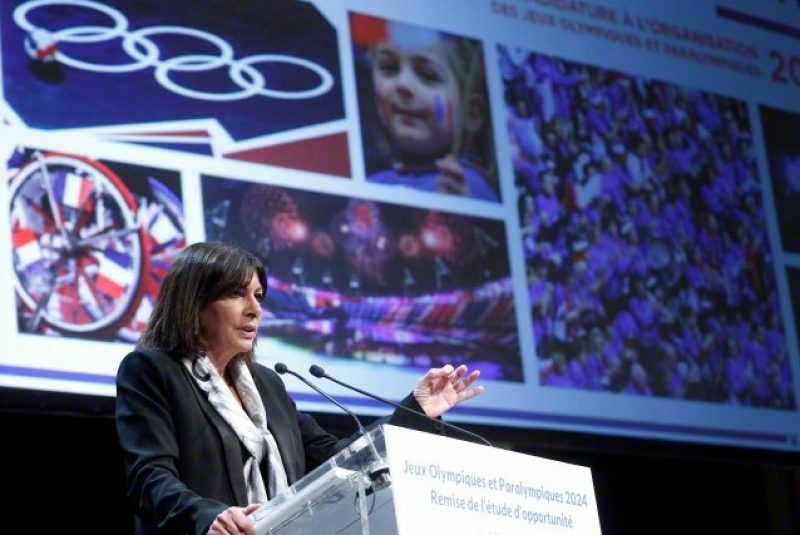 France’s socialist mayor Anne Hidalgo (pictured above) is considering having another go at it and the President of the French Committee of International Sport delivered a feasibility study of the games and an assessment of their chances of getting them last Thursday. The decision whether or not to make an application for the Olympics is likely to be made “around June”, according to the assistant in charge of sport for the Paris City Council Jean-François Martins. The final entry date for the submission of names of candidate cities is set at the 15th of September 2015. Boston and Rome have already put their foot forward whilst in Germany, the Olympic Committee is still trying to decide whether to try with Berlin or Hamburg. Other cities may also join the race between now and September, such as Istanbul or an African city. In order to consolidate her future choice, Ms Hidalgo will be able to rely on the synopsis of Bernard Lapasset’s report that she received last Thursday. The former head of the French Rugby Federation (from 1991 to 2008), who is currently president of World Rugby, is as experienced a man as you’ll find in world sport and the shady domain of global sporting diplomacy. Over a three month period from June to September 2014, some 250 people from the disciplines of sport, economics, politics and civil society participated in twelve workshops to participate in this feasibility study. The document produced focuses on the benefits to Paris of its candidature, the financial implications and possible windfalls, all without losing sight of the international context of this possible project. The document is not meant to made public in its entirety – possibly so as not to leak too many ideas to the competition – but certain elements have already been made known. Thus, it is now known that the projected budget for the organisation of the competition was estimated at €6 billion. That’s quite a bit less than what the organisers of the Rio Olympics expect to pay (€12 billion) or what the London committee spent on their Olympics (€14 billion). The budget is laid out thus: €3.2 billion for the event itself and €3 billion for the construction or refurbishment of permanent infrastructure for the occasion, of which €1.7 billion is for the Olympic Village and €200 million for disabled access facilities. The total cost is proposed to be financed to the tune of 75% by private investment and the International Olympic Committee (IOC). The relatively small amount can be explained by the fact that a good deal of the infrastructure already exists and will be refurbished (including the Palais Omnisports in Bercy, Roland-Garros and the national Golf centre at Guyancourt), while others were built following the well-prepared but failed candidacy of 2012 (the velodrome in Saint-Quentin-en-Yvelines and the sailing centre in Vaire-sur-Marne). Should the French attempt be successful, the three main buildings sites will be the Olympic Village, the Media Centre and the Olympic Swimming Pool, as well as Arena 92 (Racing Métro 92’s new home ground) – a stadium already under construction. In reality, this budget could very well increase over the coming months, as was the case with the London candidacy, which started with a budget of €5 billion. The application process itself will require some €60 million – a burden that will be have to be shared between public and private sources. It’s generally viewed that Hidalgo is a far more careful and shrewd operator than her predecessor Delanoë – a very popular mayor but a man who wore his heart on his sleeve perhaps a bit more than he should have. Whatever happens next, it seems clear that the idea of going for the Olympics has the support of a broad range of Parisian political personalities – from hard left to hard right – and even though the starting gun hasn’t sounded yet, there is a strong feeling that the race has already started.